Nestled in the Panamanian mountains along a rocky road, off the paved highway, is the home of Dr. Dave Ahrend. To get there, you drive up a newly constructed freeway for about 45 minutes before turning off onto a paved road that takes you up into the mountains. In 2001, Dr. Dave, a licensed chiropractor from West Virginia, took an adventurous path to discover alternative health medicines. Suffering from several sports injuries he was determined to find more natural remedies. “I wanted to find a haven where I could discover herbs for healing,” he says. His interest in herbal medicines saw him living in Mexico for several months after which he took a trip to Peru where he studied under various shamans and laymen. Then he visited Panama and there he discovered his land of enchantment. He explored several mountainous regions, looking for a home to buy or build. Dave hadn’t yet reached retirement age…he was still a young 60, but his dream was to establish a healing community in Panama, where visitors could learn about healthier, more natural ways to deal with illnesses. 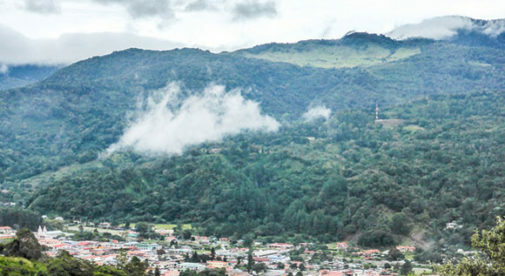 In the small town of Caldera, about a 45-minute drive from the expat hub of David and a similar distance from the retiree favorite of Boquete, he fell in love with a property that measured half an acre which he bought for $20,000. “A property like this in the States would be over $100,000,” says Dave. Since 2008, he’s been spending the winter months in Panama and with the help of his friend Gruber (a Panamanian who lived in the U.S.), he’s been exploring ways to use medicinal plants used by some of the indigenous tribes in the area. Real estate investments at home provide him with enough income to live comfortably in Panama. As Dave owns his home, his living expenses are low. “I have a budget around $400 a month for my everyday needs,” he says. Dave also likes to volunteer at the yearly Boquete Jazz Festival. This five-day event, which has been running for 10 years, brings performers from around the world to the area. The renowned music festival is a lively event that takes place in various venues around town, both indoors and out. Dave doesn’t play any instruments, or least not well enough to perform, but by being involved he’s privy to all the best party locations. He’s also an avid motorcycle enthusiast. Dave bought a motorcycle in Panama City and drove it back to his home in Caldera. “It’s different riding a motorcycle through the country, rather than sitting in a car. You get to see everything,” he says. By following his passion for alternative health, Dave found his perfect part-time retirement location.